1. Preheat oven to 500 degrees F.
2. 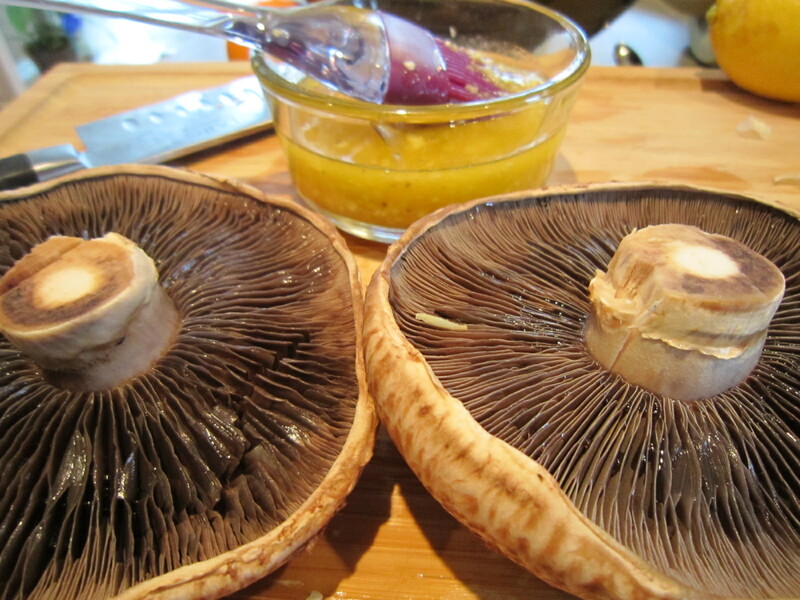 Gently brush off any dirt from the outside of the mushrooms. Wash and pat dry if necessary. Slice off just the tip of the stem, if hard or dried. 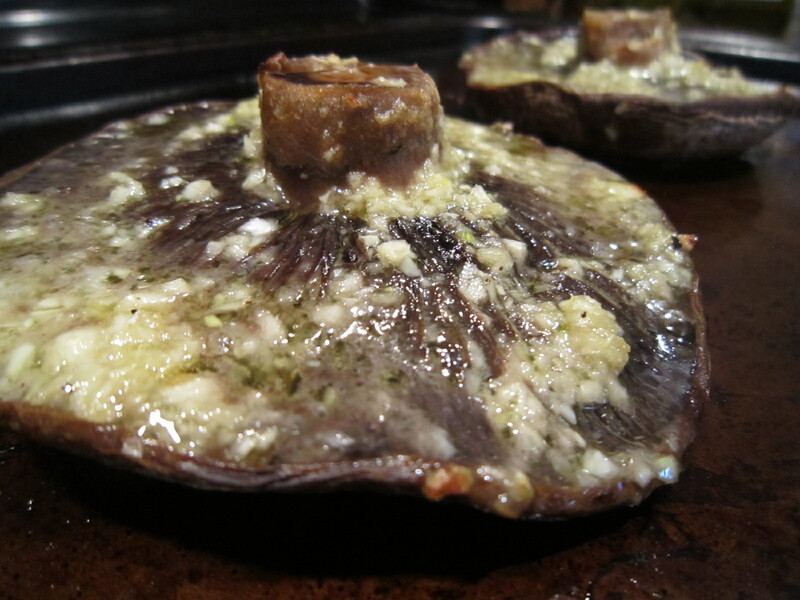 Place mushroom upside down on oiled baking sheet. 3. Prepare garlic cloves. Place all ingredients except mushrooms in a shallow food processor and pulse for 15 seconds, until well mixed and until there are no large pieces of garlic left. 4. 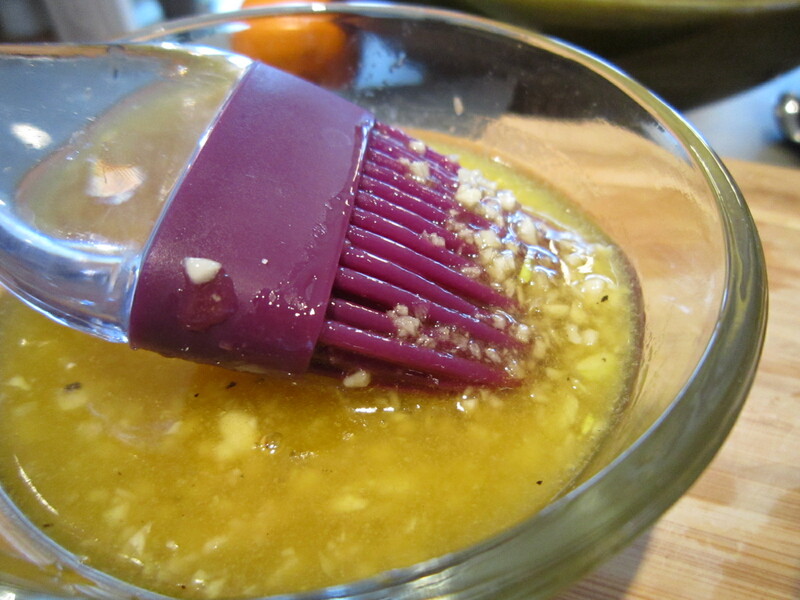 Using a brush or a teaspoon, slowly pour out the liquid mixture onto the top-facing side. Be generous here, as the mushrooms will soak of the mixture quickly. I used about 3 tbsp on each mushroom. 5. Place baking sheet on top rack of the oven for 6-8 minutes. Check the mushrooms regularly after 6 minutes to make sure the mixture doesn’t burn. Remove from baking sheet with spatula or BBQ tongs and serve warm, either whole or sliced. 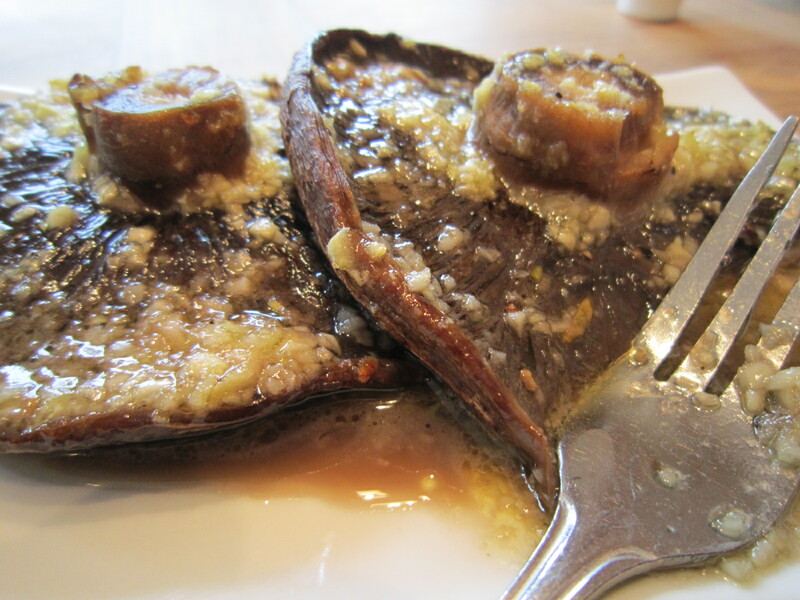 This entry was posted on Saturday, January 29th, 2011 at 2:49 pm	and tagged with appetizer, garlic, glaze, mushroom, portobello mushrooms, recipe, side dish, vegetarian and posted in Appetizers, Side Dishes, Vegetarian. You can follow any responses to this entry through the RSS 2.0 feed. Mike your timing is perfect. I just loaded up with some on-sale ‘rooms and need something to do with them. This looks perfect, with a little tagliatelle on the side. That sounds delicious, let me know how it turns out – that’s the second time this week that someone’s mentioned tagliatelle. I think it’s a sign. 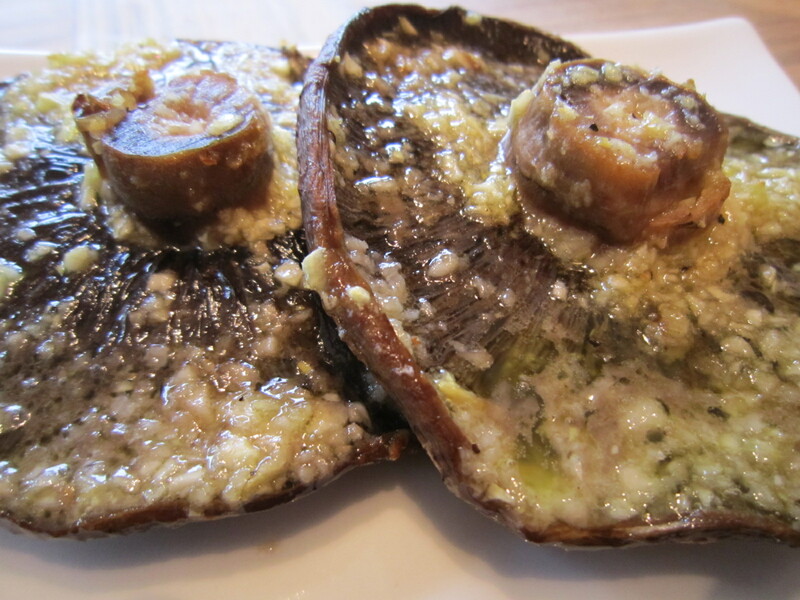 Well, I love portobellos grilled after being marinated – as tender and juicy as a beef tenderloin. I just never think to buy them.